Here's a bit of excitment. On the very first day my new blog goes live, I get a special delivery. The copy of Dungeons and Dragons: The Fantasy Adventure Board Game that I bought on ebay has arrived, and that can only mean one thing... disappointment awaits. 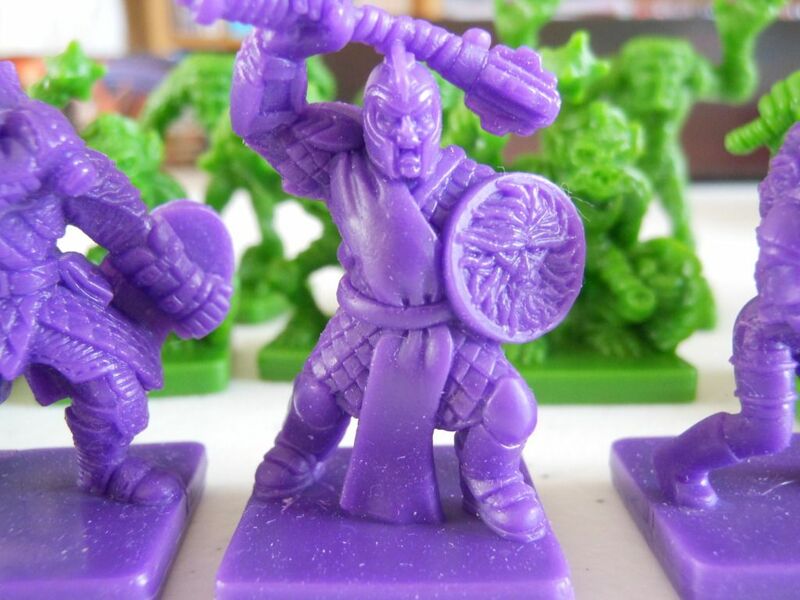 Throughout history, there have been many attempts to create a product that would bridge the gap between boardgamer and roleplayer: I know this, because my cupboard is chock full of them. 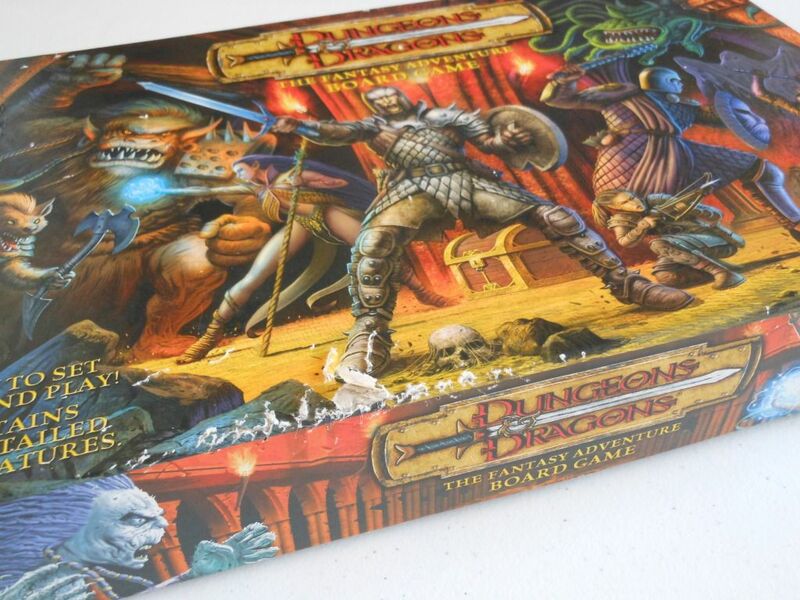 The basic premise of any such product is to take the Dungeons and Dragons world and distill the main elements into a board game, the intention being to get boardgamers to sample the delights of the Dark Side before hitting them with the real deal. The resulting products are a mixed bag. I believe Dragon Quest was one of the fist attempts. I own a copy, and it is basically a really lightweight roleplaying game with paper pieces, nicely drawn cards, and a nicely drawn board. 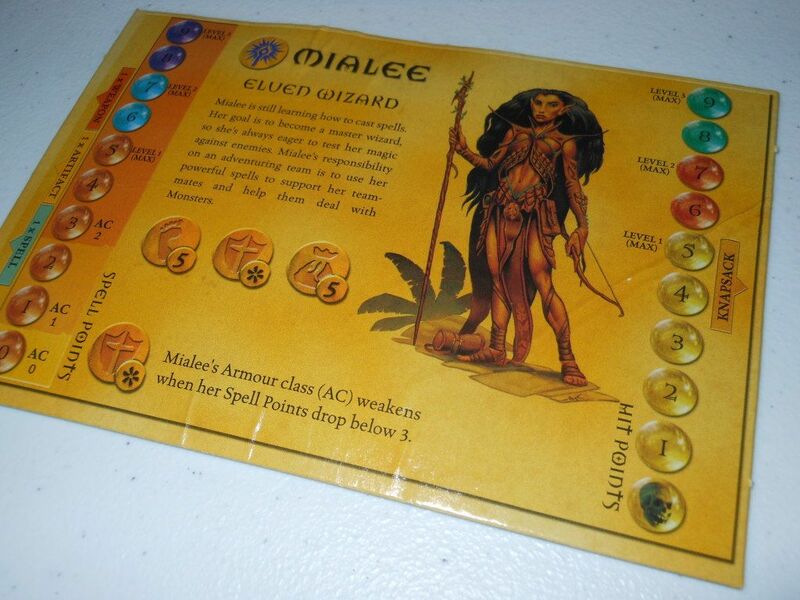 The rules are only a few pages long, and encourage players to "make things up." After Dragon Quest there was Dragon Strike, which was pretty much the same as Heroquest, except the heroes had extra options like making a feat of strength or dexterity, or questioning the monsters instead of fighting them. The scenario booklet included little scripts to help the Dungeon Master to roleplay the monsters, and it was obvious what the ultimate aim of the product was supposed to be. You should be able to find my reviews of how successful I think Dragon Quest and Dragon Strike are right here on my blog (just head over to The Vault). A third attempt to lure unsuspecting children into the clutches of Dungeons and Dragons is D&D:TFABG (it just rolls off the tongue). I have been trying to pick up a copy on the cheap for some time now, and I recently won a copy on that little-known auction site, ebay, for the princely sum of £7. The listing stated the game was a second copy that was hardly used and 100% complete, so picking it up for £7 was a bit of a deal. Of course, there is a lesson to be learned here. Just because something has hardly been used, and just because it is complete, this does not mean the game is actually going to be in good condition. The box says Dungeons and Dragons on the cover, and it looks like my copy was stored in the former and in close proximity to the latter. Here's the outside of the box, complete with what appears to be teeth marks. And here's one of the character cards. It may not be easy to tell, but it looks like someone drowned it in a puddle, and then stepped on it to make sure it was dead. It's not all bad though. This game includes 40 plastic miniatures (really nice ones), and most of the ones in the set I bought were still sealed in bags. It's all swings and roundabouts. Just check out the cleric. He really does mean business. Not sure why he appears to be wielding a Flump marshmallow and a shield with the Green Man on it though. In fairness to the seller, he did offer me a full refund; but I've been wanting to add a copy of this game to The Vault for a long time now, and decided to keep it. For £7 I can't complain too much. The miniatures alone are worth more than that. This game is very similar to Heroquest, but with a lot more special powers and magical weapons to kit everyone out with. I have never actually played it, so I am looking forward to that. Eventually, I will add a review. 1. Always check that the picture in the listing is a picture of the item you will receive. 2. Never take the condition of a product for granted, or make any assumptions of any kind. 3. Don't bid on anything I'm bidding on. It makes me sad.